Benjamin Mach is an Australian fashion designer based in New York. 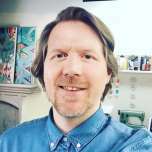 The past decade of Benjamin’s career has included working for notable brands, including Marchesa, WINTLE and Roberto Torretta, since graduating from the esteemed Sydney Institute of Technology, Fashion Design Studio. 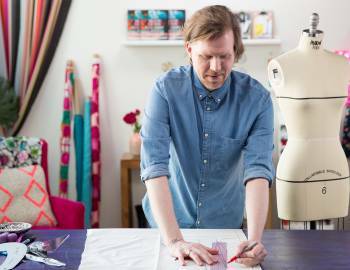 Benjamin was also featured as the first Australian designer to be a contestant on the original US series ‘Project Runway’ (SEASON 11) in 2013 and returning to compete in 'Project Runway ALL STARS' (SEASON 4) in 2014. 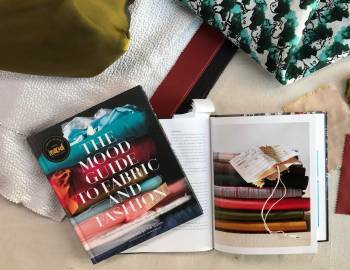 Having developed an ongoing relationship with Mood Fabrics in New York after his time on Project Runway, Benjamin began teaching classes in 2015 with their education division, Mood U. Today Bejnamin is leading Mood U's education offering in the role of Creative Director. 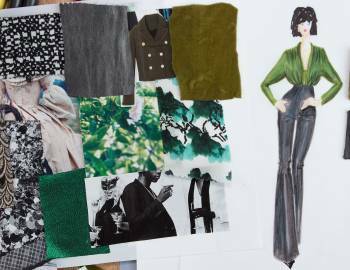 Mood U offers classes in the NYC and LA locations on how to sew, make patterns and draw fashion illustrations. For full details of classes and the current schedule, you can check the Mood U website. In addition to educating the masses in all things fashion, Benjamin is also establishing himself on the fashion map with his independent brand BENJAMIN MACH. His designs are often influenced by and take inspiration from the chic and timeless style of Halston in his heyday and the urbanely sensual approach of Madeline Vionnet and her technical innovation. Benjamin successfully merges luxurious fabric with modern design. Less is more in an aesthetic that brings a modern twist to vintage luxury. The BENJAMIN MACH label is available exclusively made to order by appointment through his website.